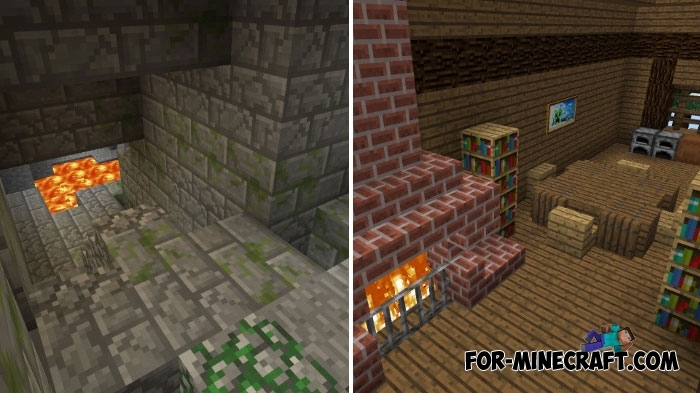 Hide n seek is a variation of maps based on a real game with the same rules but in the conditions of Minecraft Bedrock Edition. All players will like this mini-game especially if you are playing with friends or acquaintances. Hide and Seek by ESG is distinguished by a simple but very pleasant location which may seem too small at first sight. In fact, the game island where the main action takes place consists of a dozen places where players can hide well. Players choose one seeker who must find all players in a certain time. If he could not do it, then the hiders won and the game starts again, but with another seeker. Carefully inspect the house and dungeon, structures and hidden and not typical places.